Tuba Mouthpieces for the Atlanta, GA area. Similar to the Geib but with a more open entrance to the throat. It is a flatter rim with a .323 throat and our standard backbore. 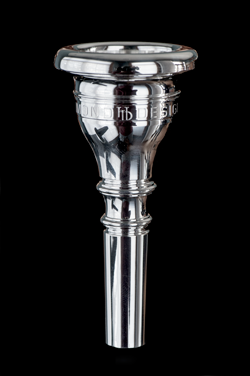 This mouthpiece is extremely versatile throughout the range of the horn and produces a even, dark sound. Similar to a Helleberg with a more comfortable rim, a .323 throat and a larger, more contoured backbore for depth as well as response.